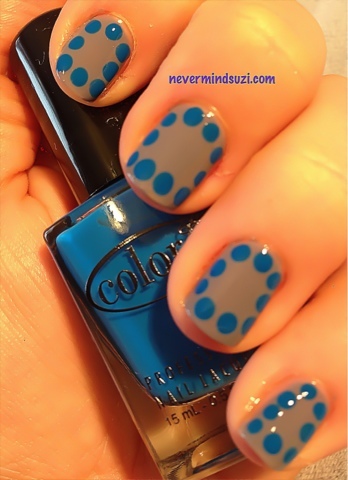 Another Tri-polish challenge today and I was feeling dotty today. 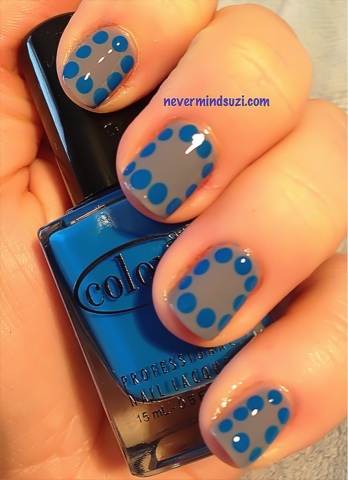 The blue really frames the grey well. 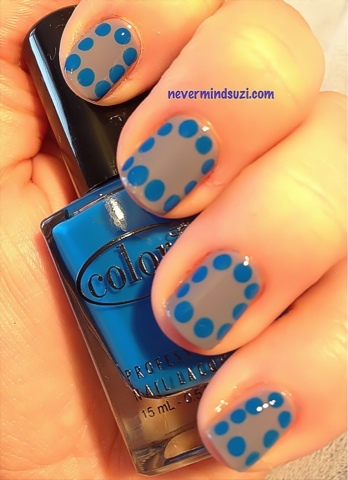 I love a dotticure this is great !